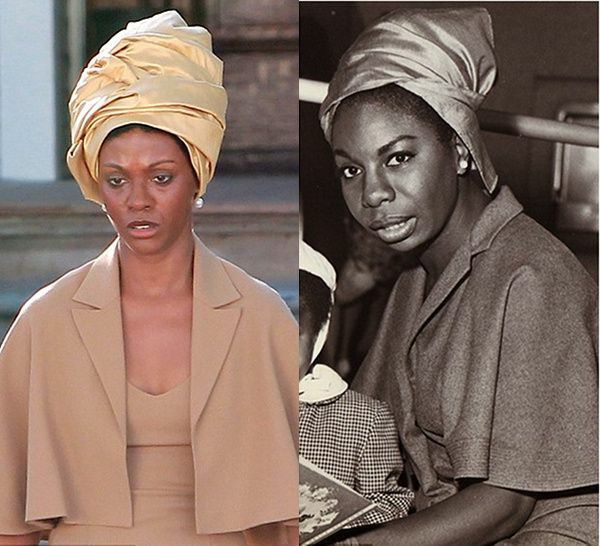 'Out of sight, out of mind' was the immediate reaction I had when first glimpses of Zoe Saldana portraying Nina Simone were unveiled many moons ago. Seeing Saldana caked in blackface while wearing a prosthetic nose for the upcoming bio flick, Nina, was enough for me to not further entertain or even bear witness on such an offensive mock job about one of my all-time favorite artists. So into the mental trash can those images went, my sanity reclaimed. Unfortunately, after much delay and stacked controversy, the biopic about the High Priestess of Soul has been drudged up again and for all of its 'stylish' cinematic air, Nina looks about as appealing as the hot dog enchiladas a patient of my father's gave us one Christmas. I could sit and just have a permanent, silent side-eye towards this film, gleefully soaking up every bad review it's going to get, but after reading Buzzfeed's in-depth piece about the disastrous rotten fruition of Nina, the presence of the movie rattled me. Seriously, the piece is riveting, and frustrating, as it goes into detail about every error that went into the production. To make a laborious story short, writer-director Cynthia Mort had a passion to bring the late musician's life to the big screen, and while it took several years to convince studios of such a project, Mort pretty much committed the worst offense as a writer/artist: she distanced her audience by her lack of awareness. It's easy to say: "Mort is a White woman, of course she wouldn't understand Nina Simone or Black people, period!" and to a large degree I would raise my fist in the air and shout this sentiment in the streets, but I'm a bit more rational when it comes to artistic license because I wouldn't want someone coming up to me and barring me from writing what I had a desire to based on my race and gender --- that's not how objectivity works. Still, (and I'm getting kinda journalism professor on y'all) as a writer/creator, you have a responsibility towards your subject matter and to your audience, especially if you're work involves real people. Nina Simone was a real person, so Mort held the responsibility to learn and understand every aspect of Simone's life, why she was a staunch civil rights activist, why she wrote "Four Women", and why her success was rare and her presence special to a consistently marginalized racial community, and formulate it into a worthwhile film that would aim to introduce Nina Simone to a whole new generation. After digesting all of this information, it makes me wonder to some extent why Mort was enamored with Nina Simone's story in the first place? Why did she choose the direction she did with it and failed to use the resources that were no doubt available to her in order to bring depth and care to her so-called "passion project"? Call it rose colored (white) privilege's antsy need to rewrite history, call it calculated carelessness in narrative, call it stupidity in severance to make gobs of money --- whichever way you dub it as, a missed opportunity was had with Nina and it's disappointing from any angle you so choose to look at it. As you can tell, I'm all about empathy, all about preserving good storytelling and celebrating the complex lives of historical giants, it's why even though I wish to put this story on ignore, I can't. Even though a film is 'just entertainment' or is posed as not being 'realistic', the topics and stories they do present can spark conversations and raise questions --- and we need to keep that going --- but on the flip, such topics can bring forth damaging messages that not only stunts conversations, but in turn, distorts them. So if your curiosity has been piqued or you want to understand further why Mort and other champions of this crud of celluloid (looking at you Robert Johnson...) are tone deaf, then here are four (somewhat obvious) tactics you can do to revive the essence of the woman, musician, and trailblazer that was Nina Simone. The decision to exclude the input of Nina Simone's family during the making of Nina has proven to be the project's greatest error. While a family member can sometimes have a conflict of interest, utilizing the opportunity to either trash or over-praise their relative to the detriment of the artistic vision of it's creators, Nina needed some familial discourse. Simone's daughter, Lisa Simone Kelly, while not upset with Saldana on a personal level, has gone on record about her disdain of Mort and her Nina project since it's first mention, as has Simone's brother, who voiced that the film was an "insult to our people and their struggle and to all the things Nina stood for". With such shade and slander, it's obvious someone from Simone's family should've have been consulted to give the film validity. Thankfully, Simone's family authorized the production of the Netflix biographical documentary, What Happened, Miss Simone? which depicts Nina Simone as the influential and fascinating artist she was onstage, as well as the troubled and haunted woman she was off-stage. 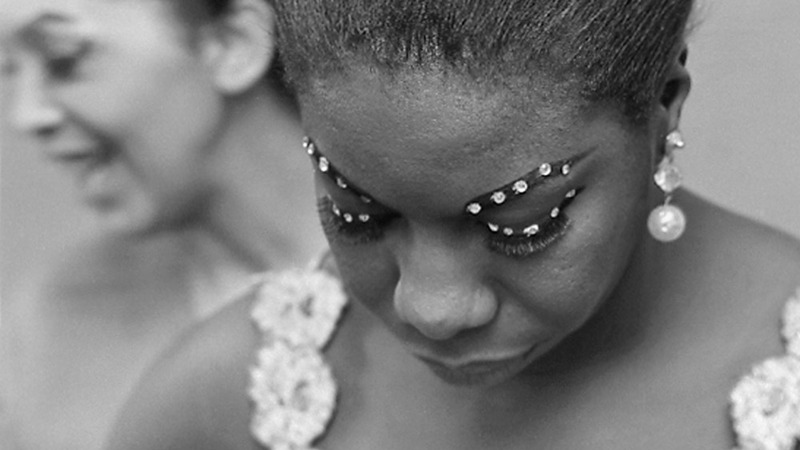 Directed by, Liz Garbus, the Oscar-nominated doc humanizes Simone through past interviews, readings of her personal journals and accounts from friends, fellow musicians, and of course, Simone's daughter, who not only serves as a the film's executive producer, but also is able to express the complex, often difficult relationship she shared with her mother. The film succeeds in uncovering Simone's enigmatic life one layer at a time, handling discussions about her tireless devotion with the Civil Rights Movement, the abuse she endured during her marriage to manager Andrew Stroud, and her later years marred with mental deterioration with aplomb. If you don't know a thing about Simone, this documentary is a treasure to witness, and I trust that once you finish watching it you'll have an unsustainable urge to put Nina Simone at the top of your stan list because admiration for this woman will run deep. Nina Simone released over 40 albums in her lifetime --- that's a lot of discography to get through! --- still the exploration of such a vast catalog is where the dimensions of Simone's persona truly come to light. Often calling herself a "classical musician", Simone's intricate style didn't always nod to her love for Bach and Chopin as it moved and mutated into a crystalline mix of jazz, blues, gospel, folk, and soul. Listening to Simone sing in that delicate, broken tone of hers, running her fingers across the ivories has the feel of engaging in an advanced music composition course, as within each song, a deeper knowledge of artistic technique is discovered. Simone to me is the Queen of Genres, as she literally played in almost all forms of music, excelling in each one. While the idea of a singer running through a bunch of standards induces some yawns, Simone made cover material captivating art as she remodeled familiar tunes like Screamin' Jay Hawkins' "I Put A Spell On You" and her first known hit, "I Loves You, Porgy" from the Ira Gershwin musical, Porgy & Bess, flipping the script each and every time. Simone was also a fearless and skillful songwriter who 'stayed woke' to her surroundings, penning protest pieces that either called out systematic racism ("Old Jim Crow"), recounted turgid terrorist events ("Mississippi Goddamn") or gave hope to her fellow African-Americans by votes of confidence (the Lorraine Hansberry-inspired "To Be Young, Gifted & Black"). 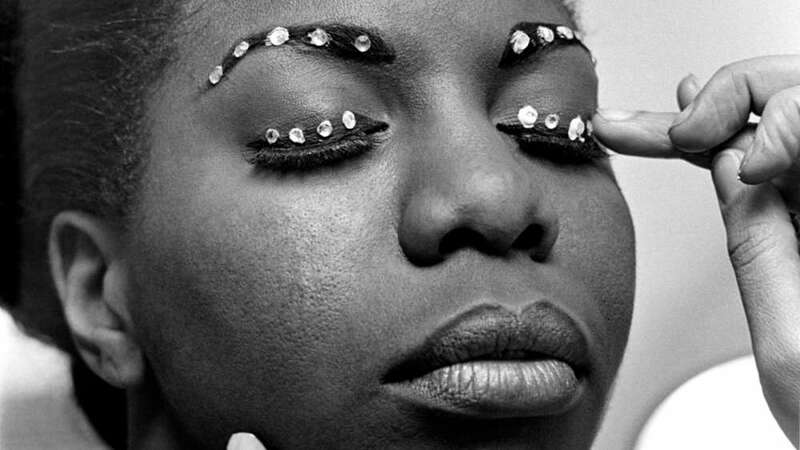 As you can tell, Simone's collective works varied and amassed over the years even past death, so if you're feeling overwhelmed it's best to begin with a greatest hits compilation (The Essential Nina Simone is a good start) and then work your way out. If you're the daring type, I suggest the socio-political punch of 1971's 'Nuff Said, the accessible Silk & Soul from 1967, and 1966's Wild Is The Wind as it features the fantastic commentary on Black female stereotypes, "Four Women". 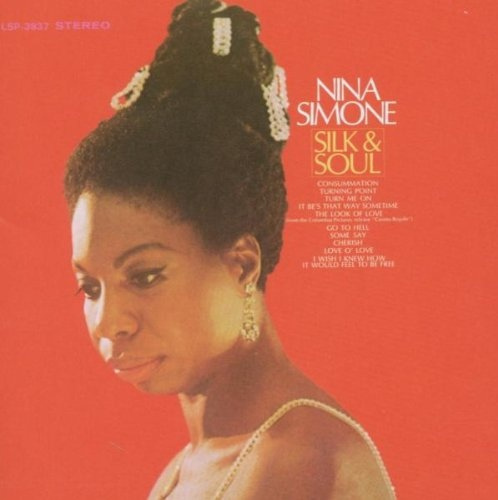 If it's a theme you want, Simone does Duke Ellington with class on a 1962 release, while in contrast she exposes the dexterity of her voice via orchestral arrangements on Nina Simone With Strings. She also uses that signature rasp to good effect as she cuts one hell of a blues album with 1967's Nina Simone Sings The Blues. Or beginning at the begin is your thing, then Simone's 1958 debut, Little Girl Blue is a luxurious chill-out that Simone herself felt little affection for, but is a wonderful survey of a musician's clear-eyed blossoming, nonetheless. Due to license issues, you won't hear a note of Simone's original compositions in Nina (yet another reason why this movie is such a fail...), but you can still purchase and stream a wealth of Simone's catalog without difficulty. You might not peel back every layer of Simone's psyche with each passing listen, but you'll come to an understanding of what type of performer she was, especially when you try a couple of live albums on for size. Still, don't mind me, exploring Simone's catalog shouldn't come with instructions --- it should come from instinct. Trust that the right set of albums will come to you and enjoy the listen. When images and sounds fail, words come to the rescue, hence why reading about Nina Simone is an essential act. For comprehensive biographies there are several to choose from, from David Brun-Lamber's 2005 overview, Nina Simone: The Biography to Nadine Cohodas' Princess Noire: The Tumultuous Reign of Nina Simone which both give in-depth play-by-plays into Simone's life and work, the latter focusing squarely on Simone's mental deterioration. There's also Alan Light's text that inspired the What Happened, Miss Simone? documentary. 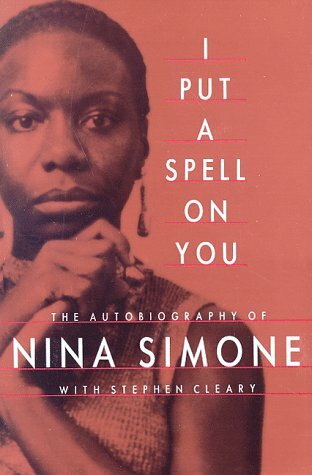 Even better is Simone speaking for herself in her best-selling 1991 autobiography, I Put A Spell On You. I hate to say that most of these books I mentioned have been met with mixed opinions, including Simone's own book which I've been told is a vague and almost lackluster remembrance piece, that only redeems itself by Simone's passages about her disenchantment over America's rampant racism and the personal, healing connection she had during a trip to Lagos. Still don't be discouraged by a bad review, like author and social critic, Edmund Wilson said, 'no two persons ever read the same book' so you might find something worthwhile and pleasing in these varying texts than others did. There is purpose as to why I chose these two fantastic shots of Nina Simone taken prior to her history-making debut at Carnegie Hall in 1963. Of course I'm drawn to the rhinestone game going on via eyelids and eyebrows (can we say summer 2016 look? ), but I also love the shots because they exemplify Simone's regal beauty in its intimate immediacy. Beauty has always been held in the beholder's eyes, but to a select few it's a given. When you hear women of color complain about why everybody in the magazines are light, bright and always White, you need to listen, and listen well, because we have storied histories of our beauty being questioned, exploited, dismissed, and in some cases appropriated. This is why the casting choice of Zoe Saldana as Simone, is not just a compliant --- it's an insult to African-American women, as it is the central argument expressed in the crux of Simone's life and work. Simone would be disappointed (and maybe not all that surprised) that Mort would offer an excuse that the reason for Saldana's casting was that she needed a big name to have the film financed. Simone also wouldn't be surprised that Hollywood's ignorance and ambivalence to change its racist dialogues continues to exist, and that the #OscarsSoWhite hashtag is just the beginning of the dissent. Salanda, being a lighter-skinned woman of color is everything that White audiences wanted Nina Simone to look like, and what Simone herself fought tirelessly against. In the face of discrimination and in the thick of the racial unrest in the 1950s and 1960s, Simone defied the labels and shunned (White) American conventionality as she embraced her Afrocentric heritage to the fullest. She rocked turbans and colorful kente prints, and didn't dare lighten her skin, nor fiddle with her what was facially God-given, her glamour and grace was in her acceptance of self. Even better, Simone turned her pain and frustration into a positive mean of expression via her work, and it enriched her as an artist and a civil rights orator. Black was beautiful for Simone, and she fought like hell to not be misunderstood or marginalized by it. Though Saldana herself has voiced sketchy commentary about her racial background and about racism in general, her being burdening the brunt of hate for this film is unfair to a small degree. Sure her being chosen over the likes of Viola Davis, Uzo Aduba, Danai Gurira, Adepero Oduye --- all talented, capable, and beautiful actresses who are vastly better choices --- preserves distorted color issues that reign in Hollywood,but Saldana doesn't need to be downgraded because of her existence. As a fair-skinned Black woman myself, I understand the privilege I often times possess, but I don't like apologizing for it. Still progress happens with the privilege, and The Establishment's Ijeoma Oluo expresses this in her piece about Saldana and light-skinned 'fragility', citing perfectly: "You cannot love your blackness and uphold a system that values your proximity to whiteness". So should Saldana be shamed for being a light-skinned Black woman with model looks that Whites find 'digestible'? No, she can't help that. Should she get a finger wag for not bowing out when Simone's story wasn't her story to tell? 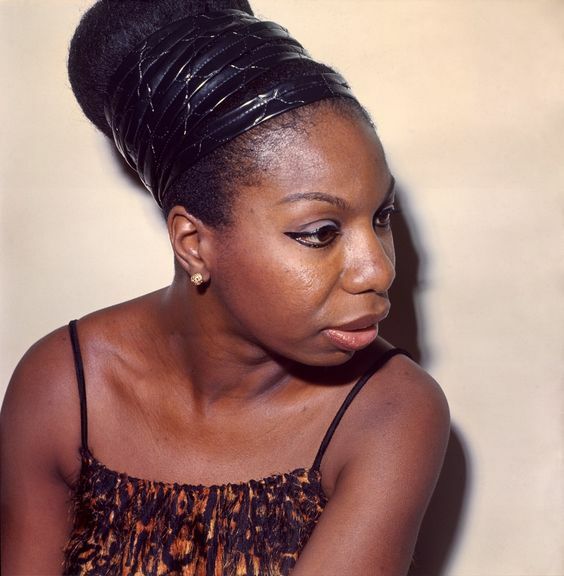 Hell yes, as all she had to do was look at a photo of Nina Simone and realize that putting on a prosthetic nose and dark make-up in order to play another Black woman wasn't upholding Black beauty as a positive, but instead playing into the same old, negative stereotypes that are too often considered norm.